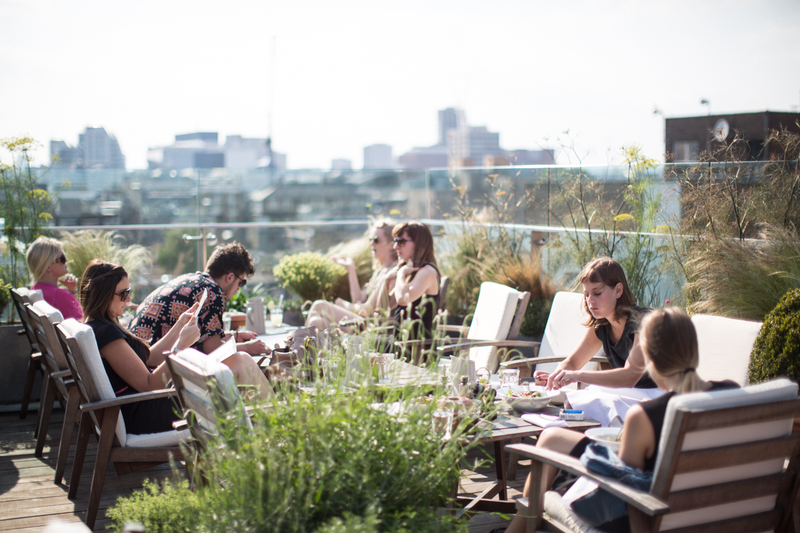 It’s almost summer, and that means London’s rooftop bars are beginning to open their doors. One of the blessings of living in a city with so many tall buildings is the view to be had from the seemingly endless number of rooftop bars. 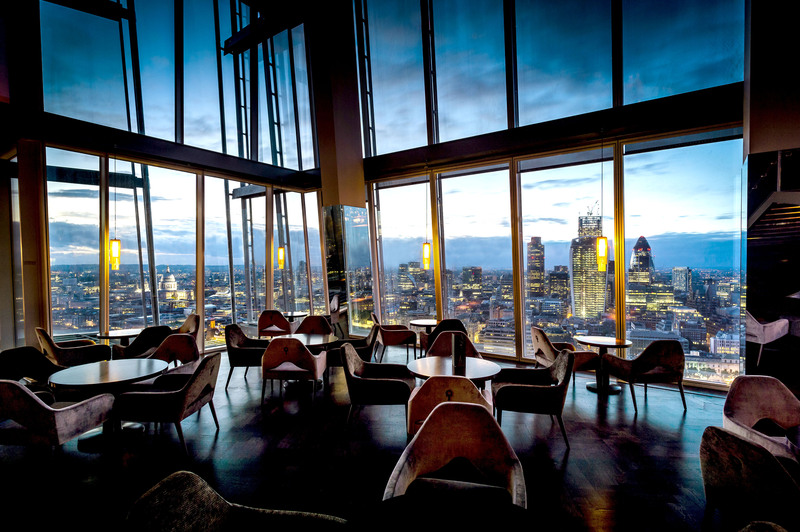 Head up to the 31st floor for jaw-dropping views. You can indulge in a delicious meal (we’re all over the weekend brunch menu), or simply order a cocktail or two. Let’s be honest, it’s cool to just say you’ve been in the tallest building in the United Kingdom. This place is famous for its incredible food, but order a cocktail and you won’t be sorry. 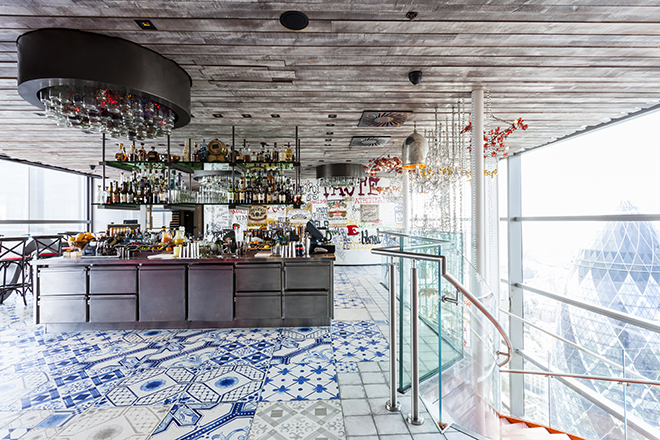 Duck & Waffle offers a ‘playful take on traditional British cuisine with broad European influences’. Dishes are designed for sharing – and are available all day. According to their website, they ‘serve from sunrise to sunset to sunrise again’. Located atop the iconic Oxford Street department store, Selfridges’ rooftop features a constant run of exciting pop-up concepts. They’ve now partnered with independent Italian restaurant brand San Carlo to bring us the beautiful Alto. You enter through an evergreen walkway, before emerging into a garden complete with verdant overhead foliage and citrus trees. Guests can choose to dine either in the restaurant or al fresco on the sun terrace. When it comes to the menu, mouth-watering offerings include truffle and pecorino ravioli, basil and prawn risotto and sumptuous gelato. The service is also superb, which wonderfully tops off the luxury experience. 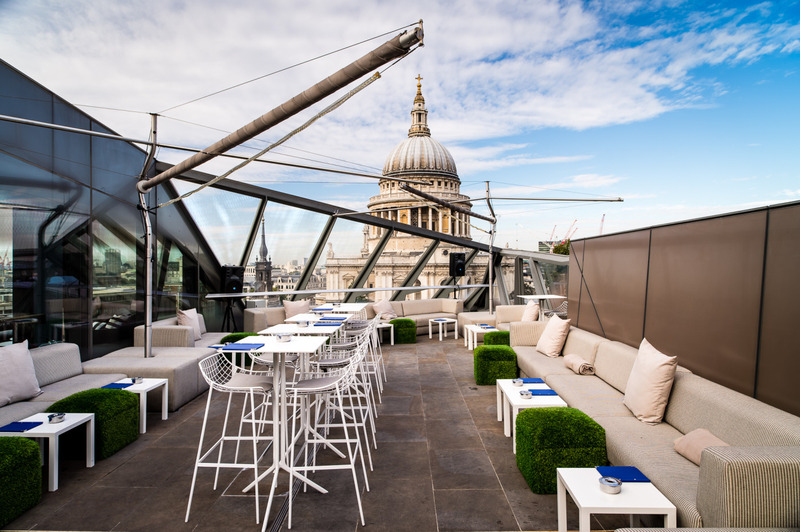 Relax as you sip wine just feet away from one of the most beautiful buildings in the city. While you’re kicking back with friends or colleagues with after-work drinks and food, you’ll hear music from Madison’s in-house DJs and live acoustic trios. 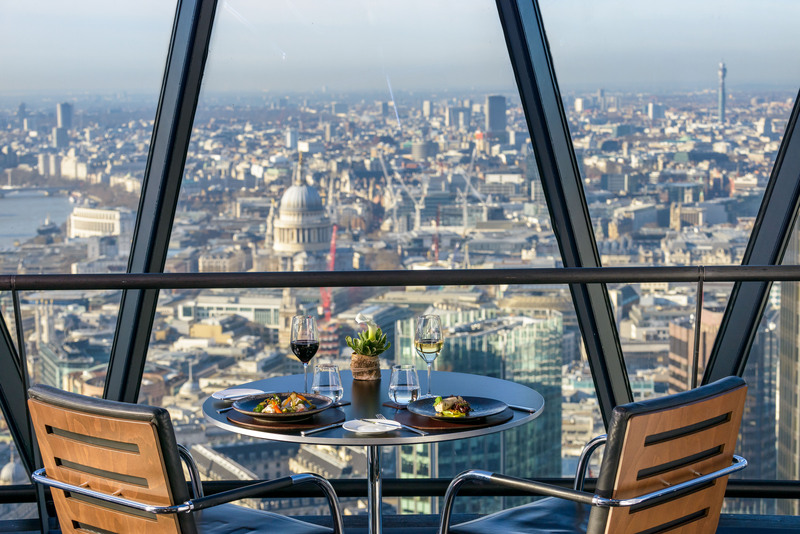 Who wouldn’t want to have a drink at the top of the Gherkin? You’ll also become a part of history, as Searcys was founded all the way back in 1847. John Searcy was the pastry chef to the Duke of Northumberland. Fancy. 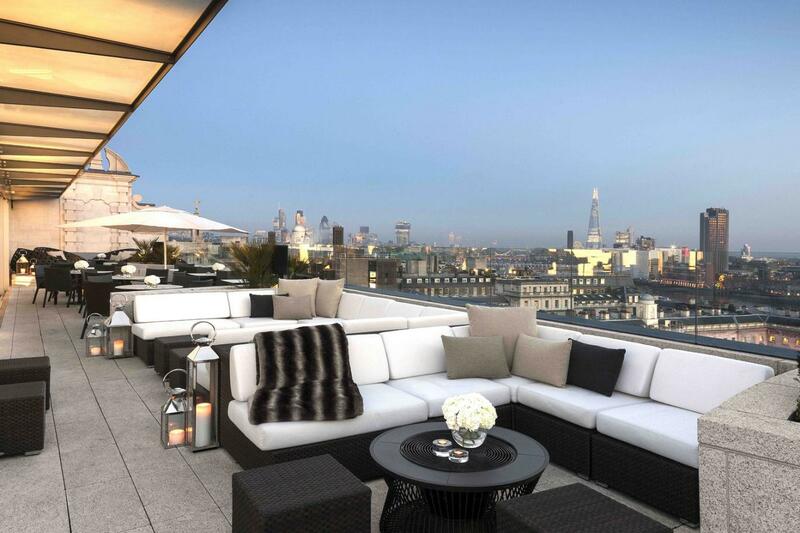 Grab a drink on the 10th floor of the swanky ME London hotel as you enjoy sweeping views of the entire city. Treat yourself to seasonal dishes including fried chicken and sausage waffles, Scottish smoked salmon Tartine and Kilner jar poached eggs. This open air bar also has a pergola, so you can spend time outside whatever the weather. Housed within a converted Victorian warehouse, the summer menu offers a slice of the Mediterranean. Think grilled meats and fish, fresh and simple salads and southern French delicacies like olives, tapenade and charcuterie.